It has been over 200 days since communities across Yorkshire had their Christmas stolen by Storm Eva. Flood defences were damaged and our telemetry stations – which monitor river levels - logged record-breaking levels, alongside the obvious and devastating damage to businesses and properties across Yorkshire. Our Leeds office has become a hive of recovery activity. We have a repair programme consisting of 400 projects and just as many issues raised by businesses, residents and our professional partners such as the local council. We’ve visited over 150 communities and completed 162 projects to repair damaged flood defence assets, with an ambitious target to complete all remaining repair works by the end of September. We repaired all 62 telemetry site faults within 5 days - most of these faults related to power disruption but some were actually under water. 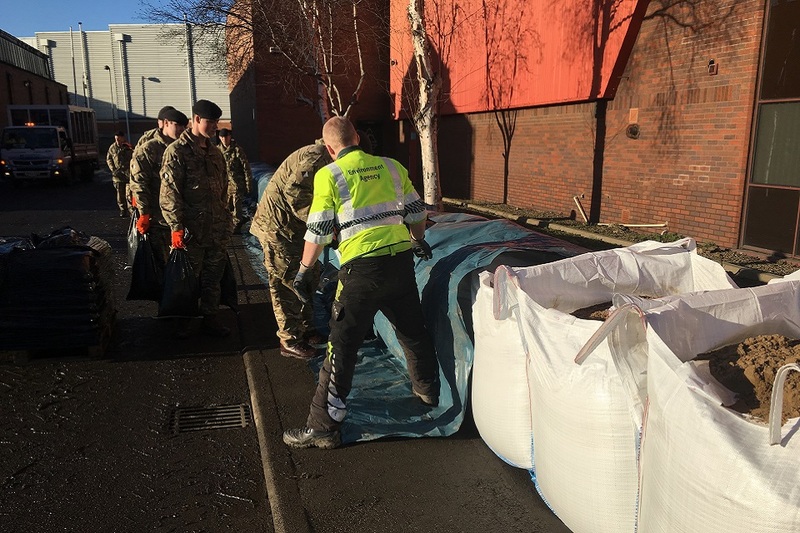 We are working hard to ensure there is still an effective flood warning service and a skilled field team who continue to work on flood-risk modelling, planning and the funding aspects of flood schemes. One example of the vital work we are doing is the installation of temporary defences at Vodafone in Leeds and at BT in York, preventing the loss of communications across Yorkshire (pictured). We are also supporting multiple volunteer groups to organise river maintenance days, where we clear debris with the aim to return any damaged banking to its original state. We have also set up an office hub in Mytholmroyd, Calderdale, to support the ever-growing flood warden and flood action groups. Our relationships with local communities have been critical and we were invited to help celebrate with residents in Hebden Bridge when they held their ‘alternative Christmas’ party on 25 June. We have been busy in Bradford and Pendle working to understand the causes of flooding in the area and working on detailed river modelling to examine where flood water goes. To do this, we’re working with Bradford Metropolitan Borough Council and existing community groups in Bradford and surrounding areas. When working on such an intense flood recovery programme we need to ensure we engage with local communities. We held an exhibition in York at the end of May about the Foss Barrier and showed communities how to improve their resilience. Our repair work at the Foss Barrier continues, including an upgrade to the pumping station. We’ve already installed three temporary pumps and eight new, permanent pumps with a greater capacity are due to be installed in August and will be fully functioning by winter. We also worked with St. John’s University in York to engage with the 15,000 strong student population in York, many of whom live in flood risk areas.